For most Facebook users, Targeted Advertising has already become a fact of life. At first, the very idea of the social networking site gathering information from our comments and posts and using this information to send us ‘targeted ads’ caused ripples of protest to run through the entire user base. It was considered a violation of our privacy, an abuse of trust. It did not seem fair for Facebook to use our data in such a way, especially since we had no idea it would be used as such and had given no explicit consent. But then, Facebook went ahead with it despite the protests and soon the protests died out. Now, most users hardly even give a thought for that pizza ad that appears right after they post a status update about how they’re craving for pizza. Facebook’s coffers, in turn, grew fat from such advertising. Never before had advertisers such specific access to their target market. Facebook was not selling personal information per se, but was instead acting as some sort of mediator between the target demographic and the advertiser. However, if the European Union is to have its way, then Facebook might just have to let its Golden Goose loose. Targeted Advertising is said to be under investigation in the EU, particularly on how the site gathers, stores, and uses the data of its users. 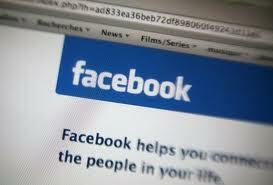 The new directive will force Facebook to make targeted ads ‘Opt In’ for users. So, Facebook will have to specifically ask for users’ permission for data harvesting. Users will have to allow themselves to be ‘targeted’ by the ads. This will be, of course, a great boon for users, especially privacy advocates. Such a move will probably land a huge blow on Facebook’s revenue, especially since they’re just planning to announce their IPO next year. Then again, with over 800 million users, perhaps this will not make that much of a difference to Facebook, after all. In fact, in the most optimistic sense, it might push them into the right direction and actually give them enough credibility as a respectable company for years to come. However, skeptics believe that it won’t make much of a difference to Facebook at all because the social networking site could just sneakily get their users to agree anyway, in much the same way that they’re getting some people to give their consent for Frictionless Sharing.